The Houston School District was established in November 1884. 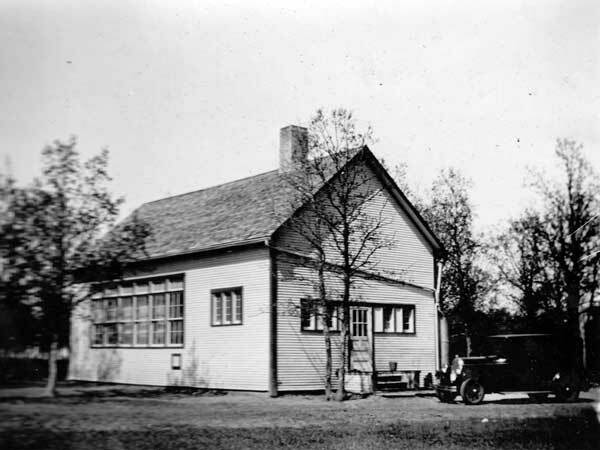 A one-room schoolhouse operated at SW26-1-1E in the Rural Municipality of Rhineland and was later moved to the northwest corner of the section. Originally populated by the children of Anglo-Saxon settlers, over the next few years, composition of the school population changed as Mennonite immigrants became the majority in the district. Local control of the district was lost to provincial Trustee J. F. Greenway over failure to comply with Manitoba’s education laws of 1916, but regained by 1921. After the district had, by mutual agreement, added 13 quarters sections of land from the St. Joseph School District and Marais School District in 1941, overcrowding led to construction of a second school building at 34-1-1E in 1942. To distinguish the schools from each other, the original became known as Houston No. l (or Houston South) and the new one as Houston No. 2 (or Houston North). In 1961 the district began a semi-grading system, with all students in grades 1 to 4 going to Houston South and all students in grades 5 to 8 going to Houston North. In 1964, the district was consolidated with the Halbstadt School District to form the Halbstadt Consolidated School District No. 214. The Halbstadt School building and Houston North school building were moved to the Houston South site. The Houston North site with teacherage were sold and, as of 2014, the teacherage is used as a private residence. On 1 September 1967, the district amalgamated with the Altona Consolidated School No. 333. The Houston South schoolhouse was dismantled. The former Houston North schoolhouse was sold and moved away for residential use, and the Halbstadt schoolhouse were sold and moved off site to become a farmer’s workshop. The yard was sold and merged with some other land to become a farm pasture. Among the teachers who worked at Houston South School were George M. Newfield (1923-1924) and Henry Krushel (1954-1959). Emerson East topographic map, 62H/3 West, Edition 2 ASE, Series A743 [UFS Reference Collection]. This page was prepared by Al Schmidt (Altona and District Heritage Research Centre), Gordon Goldsborough, and Jake Rempel.